BOSTON, Feb. 12, 2019 /PRNewswire/ -- Santander Bank today announced that Robert Cerminaro has been promoted to Commercial Banking market director for New England. 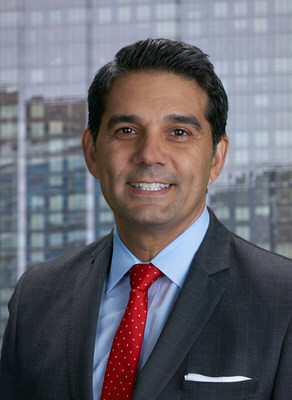 He is responsible for managing and growing the Bank's commercial business and delivering Santander's distinct value proposition and international expertise to clients and prospects throughout Connecticut, Rhode Island, Massachusetts, New Hampshire, Maine and Vermont. He reports to David Harnisch, Santander Bank's head of Commercial Banking. "Robert is a proven leader and his extensive experience in both the large corporate and middle market sectors will serve us well as his responsibilities expand to assist clients throughout New England," said Harnisch. "We continue to make significant investments to accelerate our commercial business, promote and recruit top talent, and provide our clients with the knowledge and expertise to help them build and grow their companies." Cerminaro holds a B.A. in economics from the University of Pittsburgh, a certificate in finance from the London School of Economics and a Master's Degree from St. John's University. He resides in Darien, CT.
Santander Bank, N.A. is one of the country's largest retail and commercial banks and an active provider of capital, treasury management, risk management and international solutions to thousands of corporate and institutional clients across a wide variety of industries and geographies in the United States. Offering specialty groups of experienced bankers in Asset Based Lending, Government Banking, Auto Finance, Commercial Real Estate Banking, Commercial Equipment & Vehicle Financing, Technology, Media & Telecommunications (TMT), Healthcare, Transportation & Logistics, Food & Beverage and Consumer Retail, along with experts in Middle Market and Corporate & Investment Banking, Santander earns the loyalty of its commercial banking clients by offering services that help them manage their operating needs, maximize their working capital and grow their business domestically and internationally. The Bank is a wholly-owned subsidiary of Madrid-based Banco Santander, S.A. (NYSE: SAN) - one of the most respected banking groups in the world with more than 125 million customers in the U.S., Europe, and Latin America. For more information, please visit www.santanderbank.com.